My daughter and I love to read together. We read fiction chapter books as well as non fiction books. I was super excited to read Curious Critters Volume 2 with her. We both really enjoyed it! This book is beautiful! 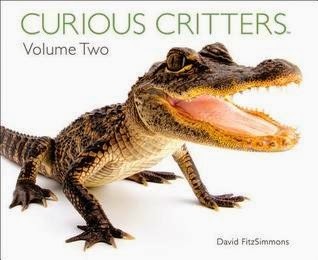 The photos are big and bright and the informative stories about each critter are written so cleverly. Books like these make kids want to read them, want to learn from them. My daughters favorite critter in the book is the Monarch Butterfly! I'm not surprised since we have them here in MN! You can also read about the Predaceous Diving Beetle, Cave Salamander, Great Horned Owl and many more! This book is worth checking out for any animal or insect lover. Kids will love it!